So Small, You Need A Magnifying Glass To Even Notice It! Be A Spec Of Dust! The MicroDot Audio, the world's smallest audio digital audio recorder; is out in an even smaller size for 2007! 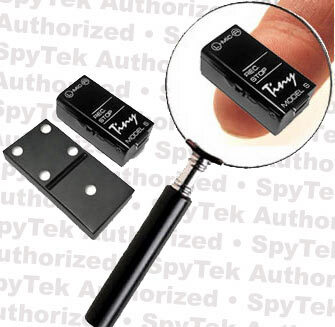 This tiny high quality digital audio recorder is so small, you almost need a magnifying glass to even notice it! It can rest on the tip of your finger. It's so incredibly small, you will have to take time to wonder and stare at it when you get it and you might want to use a magnifying glass! This digital recorder is so tiny, it has to be manufactured under a microscope. With a little Velcro, these law enforcement grade recorders can be stuck almost anywhere. The advanced features include voice activation, time and date stamping, programmable timer and will record for 18.6 hours. Because of the unique VAS feature, the Microdot Squared will not record when no sound is present so you save recording time. When downloading to your PC through a USB port, you can tell the Microdot to download with or without sound space between voices and download the evidence with time and date stamping. MicroDot Squared has simple one button command! Push to record, push to stop! The new Microdot Black is highly advanced and the envy of all other recorders as well as law enforcement agencies and investigative firms that don't have one because of it's size and high quality results. With an amazing 18.6 hours of recording time and a battery life that will last 60 hours, you'll get the audio evidence you need each and every time! Aside from the fast download to your computer with the USB connection, you can also charge the batteries while the USB connection is in place on your computer. Nothing could be easier than using this new high tech high grade recorder! Pictured Above Is A Screen Shot From The Included Recording Software Program. 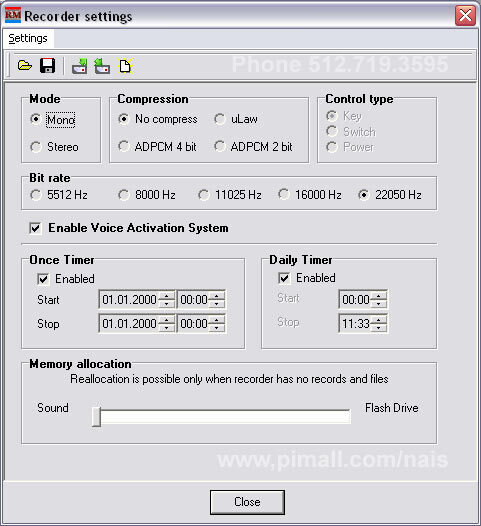 Note The Easy Settings For Mode, Compression, But Rate, Voice Activation And Timer! Everything you need is included. 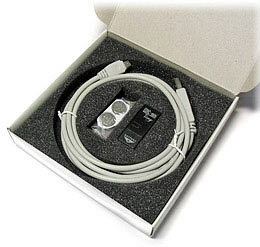 The Microdot Squared Tiny Recorder, USB cable, External microphone Batteries , CD with software, Operation Manual with the supplement, and One Year Manufacturer Warranty are included. Easy To Use! There are no complicated button functions to learn and you can use this right out of the box in five minutes or less! It's time for you to become the envy of everyone by being the user of the world's smallest high grade long play digital audio recorder that we know you will just love! Not only will you love studying this unique device, we know you will love the high end results you obtain with it! Don't delay! Get your high grade Nano-sized digital audio recorder today and leave the others who do investigations in the dust. It's introductory reduced price is for a limited time only. Voice Activation, Time And Date Stamping, So Small It's Manufactured Under A Microscope! So Small, You Need A Magnifying Glass To Even Notice It! 18.6 Hours recording Time!